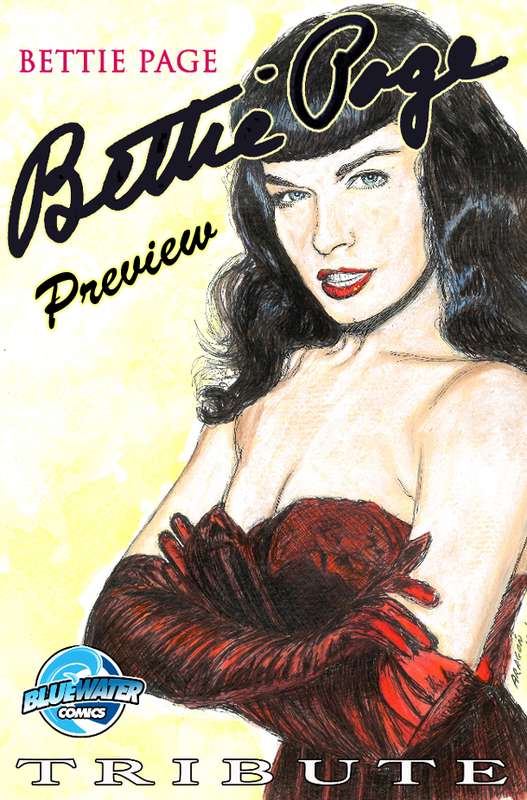 Throughout the years, the venerable Bettie Page was generally known for one thing and one thing only: For being an influential pin-up model who dominated the world of pop-culture with her sultry looks, her Amazonian physique, and her notable jet-black hairstyle. So, if you want to find out more, here, have a look at the following five-page preview kindly given to us by TidalWave Comics. It was written by Michael L. Frizell and illustrated by Ernesto Lovera. Please enjoy. To see what happens next please come back next week for part two, or alternatively, check out TidalWave Comics on their website, facebook, and twitter pages. Better yet, why not pick up a copy of 'Tribute: Bettie Page' on comixology.